Your New Home in Houston is Waiting! 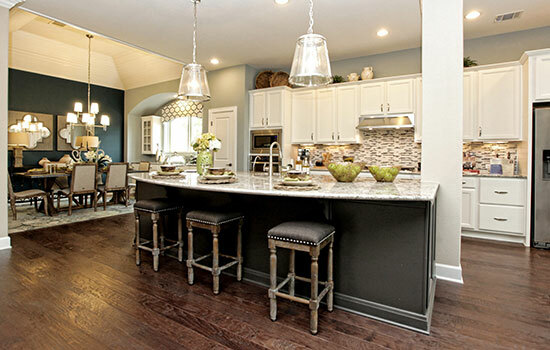 With David Weekley’s Build on Your Lot program in Houston, we can build the home of your dreams! Enjoy an energy-efficient home in a location you know and love, built by a home builder with more than four decades of experience and financial stability. Choose from award-winning floor plans or build the custom David Weekley home of your dreams with Build on Your Lot in Central Houston! Enjoy living near downtown in surrounding areas, including Bellaire, Braes Heights, Meyerland, Memorial, The Villages, Spring Branch, Oak Forest and more. With the David Weekley Homes Build on Your Lot program, you have the advantage of a new energy-efficient home in well-established Houston-area neighborhoods with an intimate, suburban feel, just minutes from Downtown Houston hotspots and employers. Whether you currently own a homesite or are looking to find one, contact a Sales Consultant and let us help you find your ideal place to call home! David Weekley’s Bryan/College Station Build on Your Lot program allows you to enjoy a new, energy-efficient home in the location you already know and love. Choose from a large variety of award-winning floor plans to find the right one for your lifestyle, and built on your own homesite! 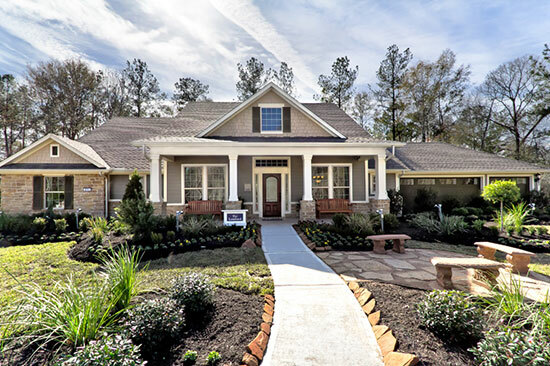 David Weekley’s Build on Your Lot program has been delivering the absolute best in Design, Choice and Service since 1976! From Sugar Land to Bryan/College Station to Galveston to The Heights and places in between, we have hundreds of floor plans to choose from, thousands of Custom Choices™ in our award-winning Design Center and a home building Team ready and willing to make your new home a reality! Our EnergySaver homes in Houston offer greater energy efficiency and can save in heating and cooling energy usage over a similar home built to 2006 building code standards. From now on, any home that isn’t green may be obsolete. 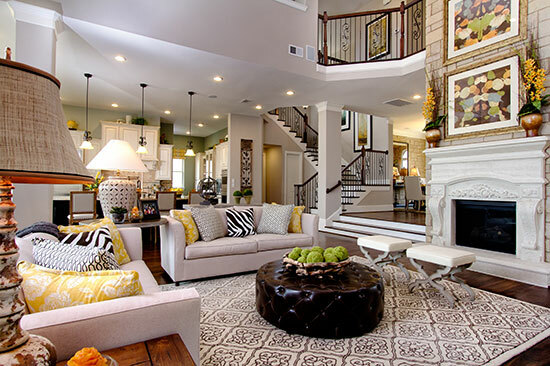 Our new homes in Houston are loaded with standard features from top to bottom! Delighting Customers is our number one goal. 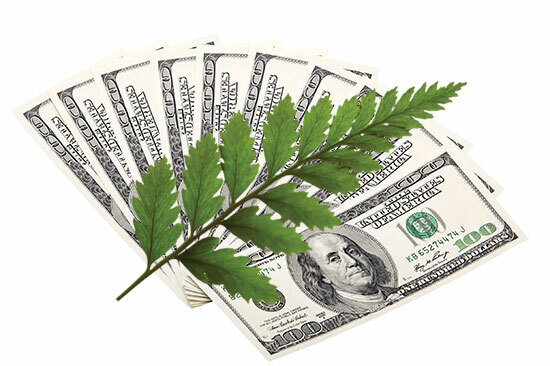 One way we do this is by offering more standard features that our competitors. See one of our Build on Your Lot Sales Consultants in Houston to find out more about the standard features we build into all of our new homes. 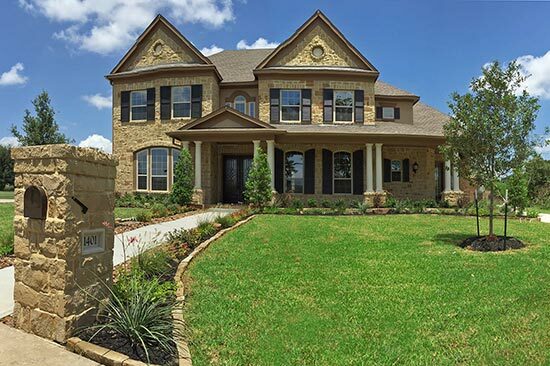 David Weekley Homes has over three decades of building dream homes in Houston. You want a builder you can count on who will be there for years to come. With so many details and steps involved in building a home, you can count on David Weekley Homes to get it right the first time! At David Weekley Homes, our Build on Your Lot experts in Houston know the ins and outs of our hundreds of award-winning floor plans. Want a pre-wired media room in place of the fourth bedroom? No problem! Our floor plans give you the flexibility to change and add features as you see fit. We are here to help you choose and customize a floor plan to fit the way you live. Nothing is more important to us than Customer Satisfaction, and nothing makes us happier than seeing a Homebuyer’s dreams turn into reality! 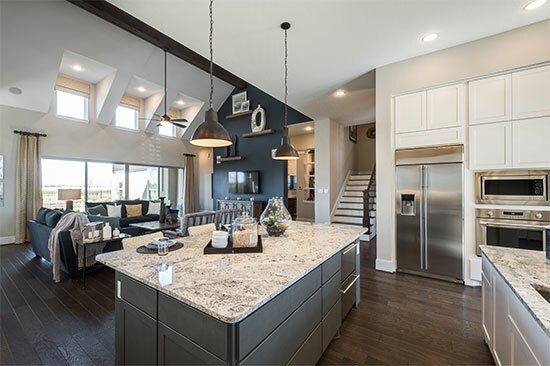 In addition to our hundreds of unique floor plans to browse through, a David Weekley Homes Build on Your Lot professional in Houston can help you take a floor plan and customize it to fit your individual needs. Many custom builders will try to dazzle you with blueprints and renderings, but there’s nothing like being able to touch, feel and experience a floor plan yourself. David Weekley has model homes in Houston built for you to tour, so you can enjoy all the beautiful design features our plans have to offer firsthand. 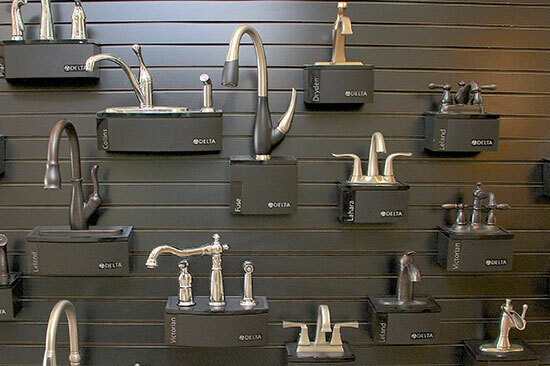 Our Design Center in Houston has everything you need to bring your new home to life! 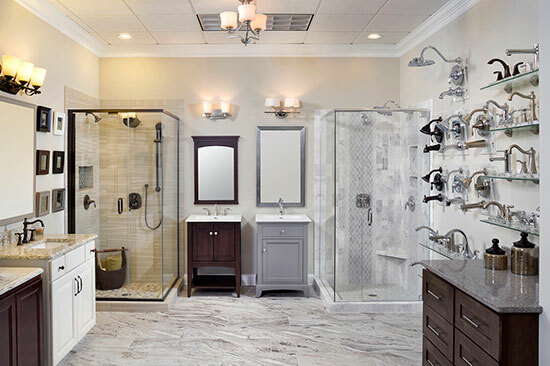 It’s filled with thousands to Custom Choices™ to give your home the personal touch that it needs. From hand scraped hard wood floors to rich cabinetry and elegant fixtures, you’ll find everything under one roof in our Houston Design Center and all with the help of a professional Design Consultant to tie it all together! A survey of your land is essential before the building process can begin. Through our Build on Your Lot program in Houston, we will conduct a professional survey of your land to determine property limits, as well as plot the location of the house, garage and other features. Our construction professionals inspect the construction and quality of your home. We conduct inspections at different stages by the jurisdiction in which the home is built. Your home must pass each inspection before construction can continue. 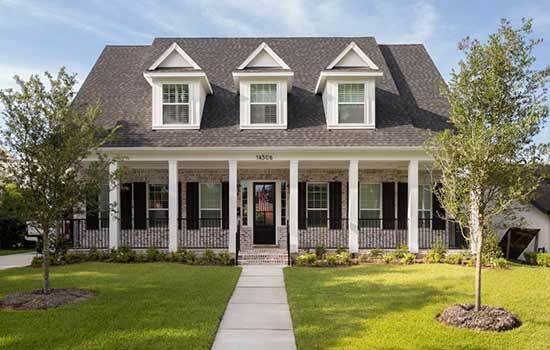 In addition, David Weekley Homes has professional, third-party inspections performed on foundation, framing, mechanical systems, all plumbing systems, and all energy components. This is to verify that we are building your new home to code and have met all the necessary standards. 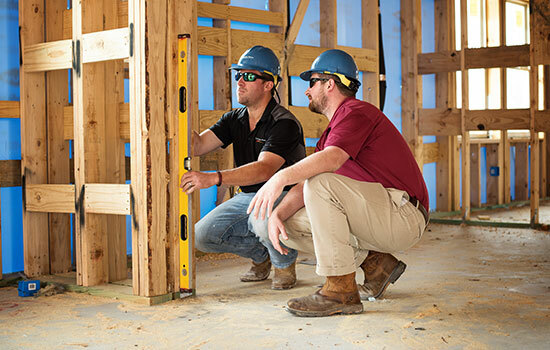 Our EnergySaver™ Homes in Houston undergo additional inspections, specifically designed and monitored by Environments For Living® for energy-efficiency certification. Our Design CenterThousands of Custom Choices™ and the assistance of talented interior Design Consultants all under one roof! Make your neighbors say "Wow! with a wide array of exterior choices. 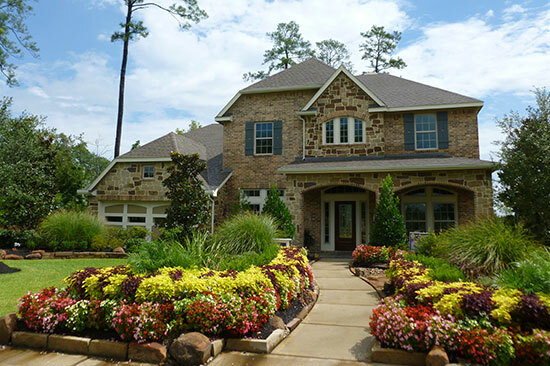 David Weekley Homes offers a wide variety of Custom Choices to make your home’s outside just as exciting as the inside. Many Homebuyers have many ideas about how to customize a home’s interior, but run out of ideas when it comes to creating a striking exterior. Choose a brick color that gives your home a personality or create the perfect Outdoor Living space for your family. 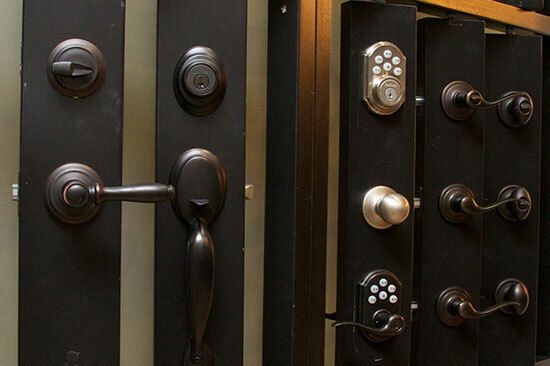 With all the available options, you’ll soon discover your home’s beauty from the outside in! You’ll be amazed at how stunning your new home will look with all of our interior choices. Whether it’s hard wood floors or stunning crown moulding, we have the Custom Choices to make a striking impression. Your goal is a home that reflects you – ours is to make the process easy. 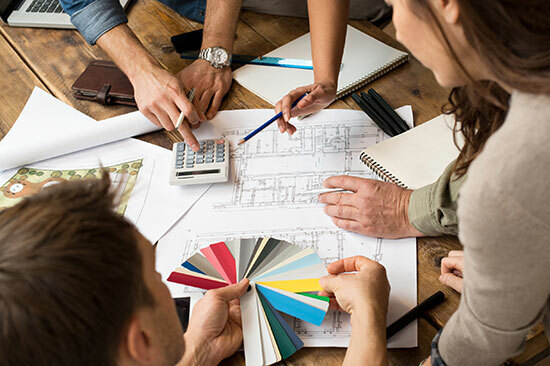 With hundreds of interior design choices available and the included help from a professional Design Consultant we make it simple to find exactly what you need for creating the home of your dreams – from flooring to countertops and beyond! It means floor plan, city codes, inspections, foundation, landscape design… in other words, we will do most everything and are a complete turn-key home builder! Lot preparation, Architectural Control Committee or Home Owner's Association approval, home design with an in-house architect, all permits, engineering, in-house financing, design options in-house with a professional Design Consultant and more! This is why we are very comfortable calling ourselves a full-service custom home builder in Houston.